Low Cost Pediatric Dentistry: Make Dentist Visits Fun for the Kids! Help them to enjoy going to the dentist when they’re young. They’ll thank you later. 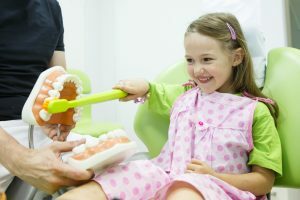 Choosing the right dentist can make an enormous difference to help your child feel comfortable at the dentist’s office. In this article, we discuss ways to make dentist visits fun for your child. During childhood, learning to trust the dentist and getting a good oral hygiene education are high priorities. At Penn Dental Medicine, we love helping children and parents realize that coming to the dentist can be enjoyable! We offer low cost pediatric dentistry to families who are committed to making sure their children have a bright future and an even brighter smile! Idea 1: Associate the Dentist with Fun Costume Wearing: How can you make the event of going to the dentist a fun, exciting event? By wearing a princess or superhero costume to the dentist, of course! At Penn Dental Medicine, we welcome creative approaches to help children have a blast! This way, they’ll look forward to wearing that cape when it’s time for their next checkup! 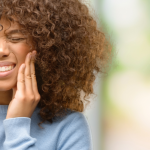 Idea 2: Plan an Outing for Afterward: Another way to reinforce the positive association with going to the dentist is by planning a reward outing. Fun trips to indoor play areas, a trip to the movies or a restaurant/ice cream, can be a great reward for your child’s dedication to maintaining great oral care! And by teaching your children to keep these habits early, you greatly increase the likelihood that they will continue them throughout their lives. Idea 3: Buy an Electric Toothbrush. Even if it’s not directly associated with going to the dentist, you can get kids excited about the tooth care they’ve just learned about by buying them an electric toothbrush afterwards! 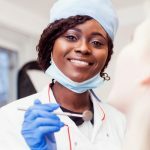 Have your pediatric dentist explain how it should be used so that you don’t put too much pressure on the teeth or gums. 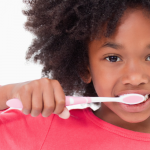 An electric toothbrush is just what some children need to keep them motivated. Make oral care fun! 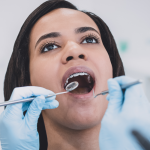 We realize that some parents aren’t the biggest fans of the dentist themselves, but over time you will see that our dentist’s office is different from most. We love taking care of the whole family and being able to provide access to low cost pediatric dentistry to children who might otherwise not have the chance to go to the dentist (or not as often). Our discounted rates make it easier for patients without insurance to get the treatments they need. Call Penn Dental Medicine at 215-898-8965 to schedule your child’s low cost pediatric dental appointment today!